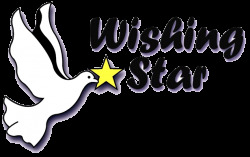 What: Presented by STCU, Wishing Star Foundation will hold its 13th Annual Taste Spokane on Friday, February 15, 2019. The evening will be filled with live music, great food, adult beverages, and more. Spokane’s most acclaimed restaurants, regional wineries and breweries, and dessert purveyors will exhibit their products and serve samples. Taste Spokane 2019 will feature a live auction, paddle raise and lots of fun surprises! Help grant wishes to LOCAL children battling life-threatening conditions by attending this incredible event! General Admission Guests: $60/ticket. Includes admission, wine glass, and unlimited tastings. General Admission tickets at the door: $65/ticket. All proceeds benefit Wishing Star Foundation.